All Comal Hills homes currently listed for sale in Spring Branch as of 04/18/2019 are shown below. You can change the search criteria at any time by pressing the 'Change Search' button below. 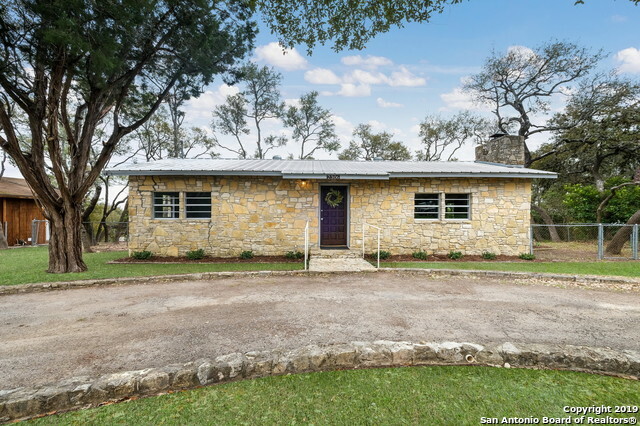 "Adorable Rock home sitting on a very large lot in Spring Branch. Home features an open floor plan with a beautiful fireplace and wrap around deck. Absolutely Move in condition! Home just renovated with white painted cabinets in kitchen, new carpeting in both bedrooms and paint throughout the home. New Air conditioning unit. All done within the last 3 months. The only carpeting in this home is in the bedrooms. The remaining floors are wood laminate."